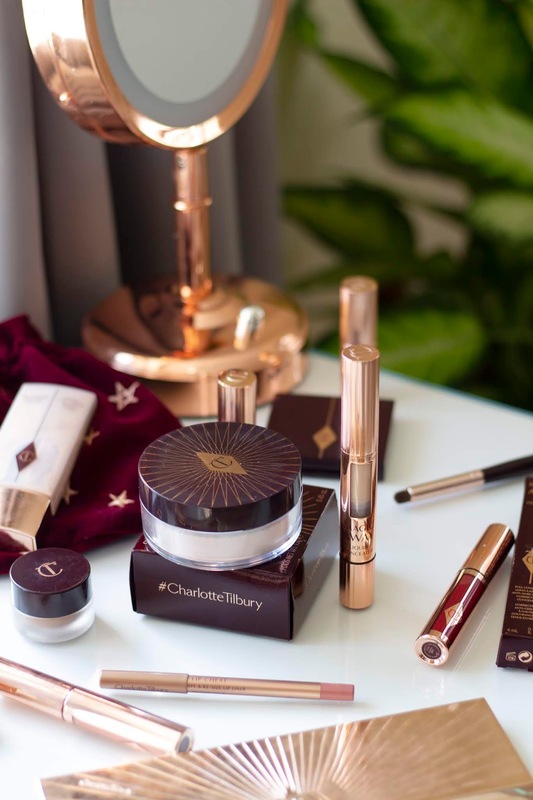 A couple of weeks back I had the pleasure of meeting Charlotte Tilbury, and seeing the brand new launches from the beauty genius. 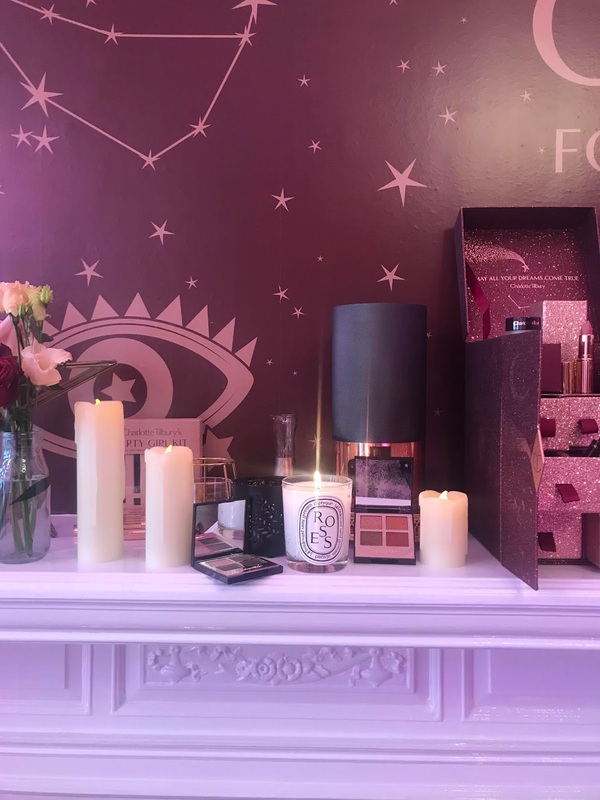 There are some seriously exciting things coming up over the next few months, including new additions to the Pillowtalk line – I tried the blusher and it’s unbelievably beautiful! and an insane Christmas collection that’s going to rob my husband in December. Remember the Magic foundation, well now there’s a Magic concealer and powder too! I’ve been trying them out for the past two weeks and thought I would share my two cents. I love a good liquid concealer so when I saw this had been released I was so pleased. I have shade 4, which is relatively pale with a yellow undertone, so it works nicely to counteract the blueness around my eyes. In terms of formula this isn’t thick or creamy, it’s very lightweight and you just don’t feel it on the skin. 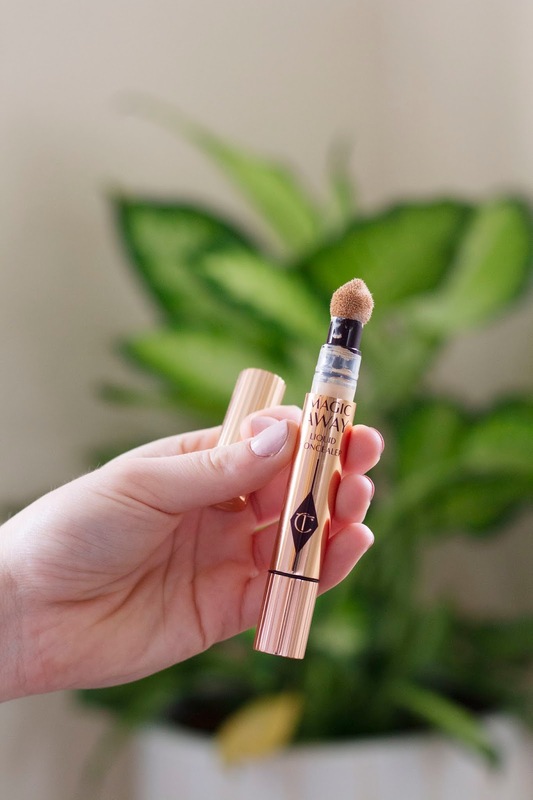 The coverage comes from the amazing pigmentation, it definitely isn’t a camouflage concealer, but for a lightweight formula it covers everything I need it to. Set with a powder I don’t need to top this up throughout the day. It definitely does wear slightly as the day goes on (especially in this heatwave), but it doesn’t crease or start to cake up, it almost just fades. When a concealer or foundation has the ability to do this, I’m usually sold. My one gripe is the sponge applicator, I feel like it gets messy and it’s one of those things I know I won’t get round to cleaning or keeping on top of (which, as you can see, I haven’t), but it’s something I’m more than willing to look past. 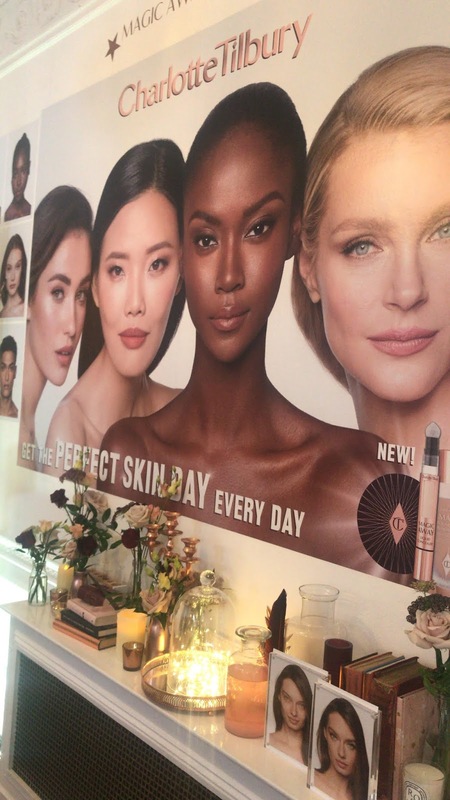 I really do think this concealer is going to become one of the best sellers, I’m excited to see what everyone else thinks once it launches. Next up is Charlotte’s Genius Magic Powder, it’s described as soft-focussing and light diffusing. This isn’t one of those heavy powders that’s going to completely mattify the skin and keep it going for 8 hours, it’s more like a soft powder highlighter for all over the face! It’s something completely unique to my makeup collection. I have this in the shade 1, fair, it just looks like a normal face powder, but on the skin it really isn’t anything like what I’ve used before. I have normal to oily skin and find this takes away the shine and replaces it with a natural looking glow. The powder is so light and finely milled it reduces the shine in all the right places and adds radiance to the skin – Charlotte, you genius! It doesn’t have the longevity of a traditional powder, this leaves the oily parts of my skin looking shine free or about 5 hours. Loose powders are never easy to package compactly so this probably isn’t a product I’ll be carrying around in a small bag, but I’m ok with that. One good feature about the packaging is the plastic section you can close to stop the powder coming out of the top, this definitely saves on waste and makes it as easy to use in a rush. There are only a couple of CT products I don’t get on with, so it’s no surprise that I’m on board with both with these. 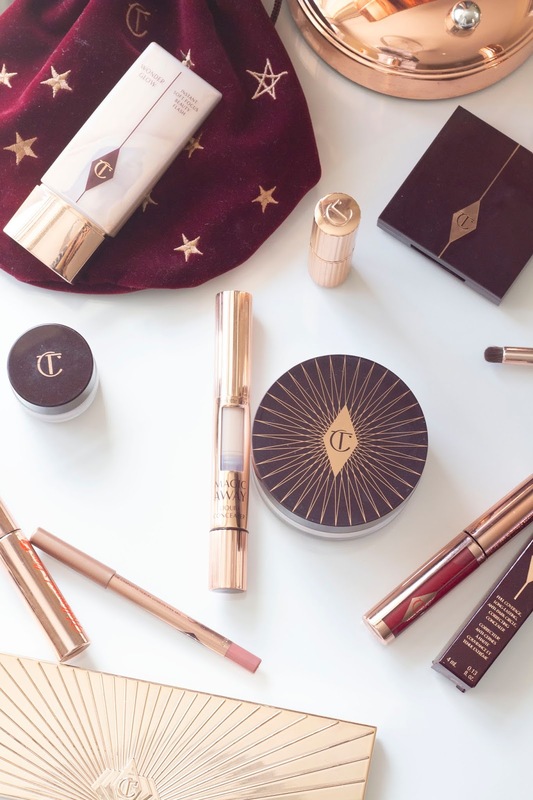 They’re effective yet beautiful products to have as part of my everyday makeup routine and definitely launches the existing line was missing. "Becoming a More Positive Person." I know, she's nailed it hasn't she! I really want to try the airbrush flawless powder too, I've never heard anything bad said about it! It's always so stunning isn't it! Me too! I never end up really using them, but now I've been using it a little more I have found it quite handy on the go, I can just apply it then blend it out with a beauty blender and the jobs done! I definitely think it's geared towards dry skin, it just gives a lovely glow whilst still setting makeup into place. The sponge is a drawback, the product itself is so good! Isn't it!? Definitely the prettiest brand there is!